Pieces hanging in CSU Bakersfield’s Todd Madigan Gallery from the art exhibit Entre Tinta y Lucha: 45 Years of Self Help Graphics and Art. 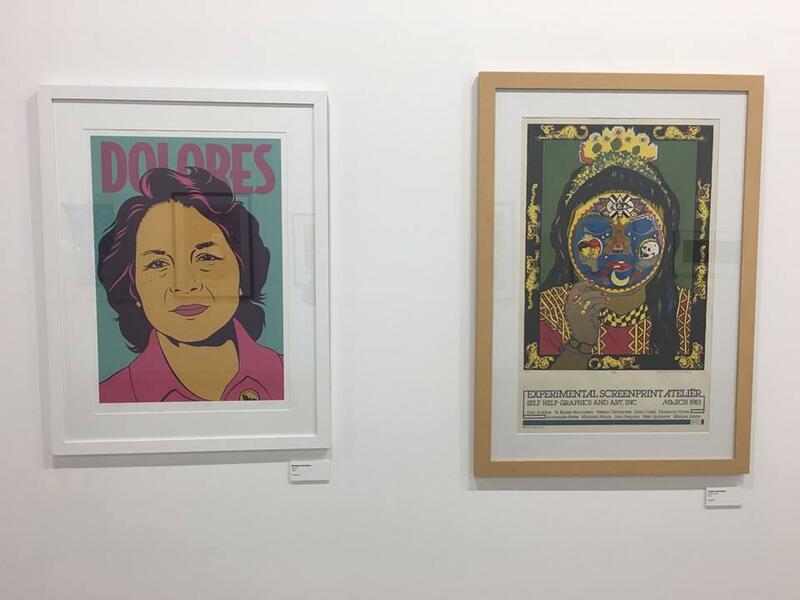 Self Help Graphics and Art, an organization in Los Angeles that intersects art and social justice, is celebrating its legacy of producing art prints by Latinx, Chicana, and Chicano artists with an exhibit called Entre Tinta y Lucha: 45 Years of Self Help Graphics and Art. CSU Bakersfield’s Todd Madigan Gallery is currently housing more than 50 art prints from the exhibit. The exhibit is inspired by the Chicano Movement in the late 1960s and the rise of printmaking as an art form. Listen to the interview to hear from the gallery director, Jedediah Cesar, about the artwork in the exhibit. Betty Avila, the executive director of Self Help Graphics, speaks about the history behind the exhibit and why it's important the exhibit makes a stop in Bakersfield. The exhibit will be at CSU Bakersfield until March 9.